Looking back, I feel we get our fair share of each of these challenges. I will remember these waters as a constant battle against headwind, never ending Atlantic swell and current & tide calculations made with very tired eyes (and only half functioning brain). On the other hand, I will remember these waters for the wonderful Dutch inland canals, the historical sites we visited in France, the dolphins and intriguing Channel Islands. I guess arriving to beautiful, eucalyptus scented Cedeira felt even better when the passage there was not just Sunday sailing. Again, same as for the From Finland to Kiel canal -route, the route that we chose to sail is a tourist route, not the fastest nor the shortest route. The prevailing wind direction this time of the year – headwind for those heading south – kept our sailing legs shorter than originally imagined. So here’s what we did. 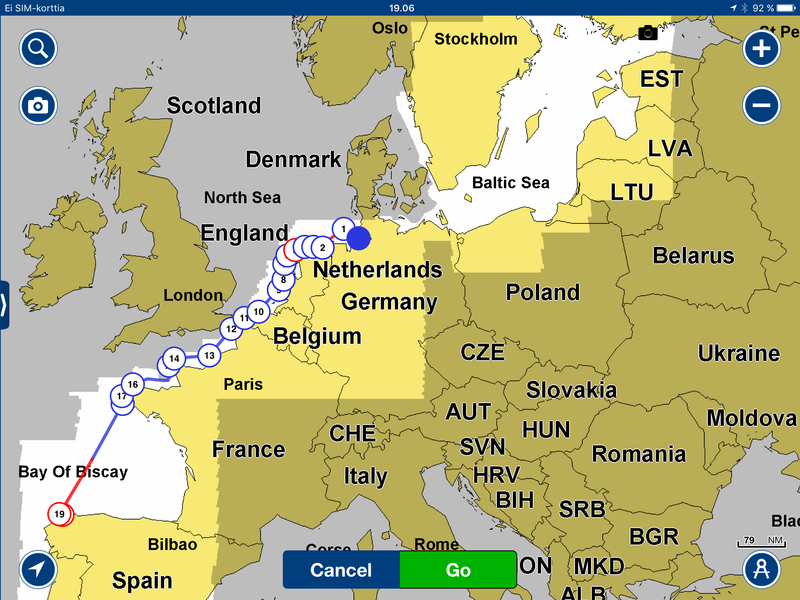 Note that the dots in the map are raw approximations, especially for the legs at the inland waterways of Holland. Find more information on each leg and some harbour details from our Online Logbook 2016. Fair winds and following seas for all sailors sailing these waters. 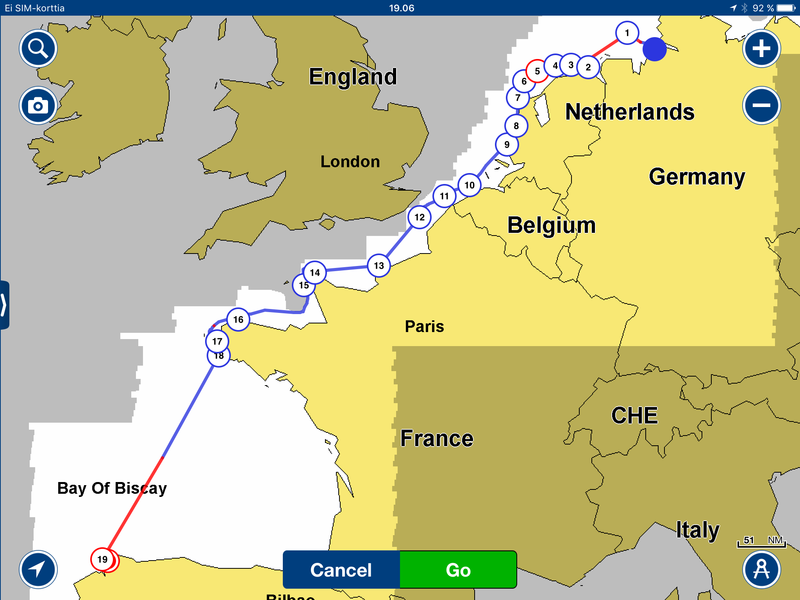 This entry was tagged Atlantic Spain, bay of biscay, Holland canals, Route planning, Sailing English Channel, Sailing in Belgium, Sailing in France, Sailing in Galicia, Sailing in Germany, Sailing in Holland, Sailing in North Sea, Sailing in Spain, Sailing route, Sailing route map, Sailing West Europe. Bookmark the permalink.